Many seniors do not know what they want to do after high school, or what they want to do with their lives. But for me, the situation is different. Since I was in elementary school in Jordan (a sovereign Arab state in Western Asia), I had an idea of what I want to be, and this idea has become clearer and more focused over time. Because of my life experience, my career goal is to become a doctor. My family and I have experienced many medical problems – especially my dad. Every time my dad is feeling pain, I wish I could give him a magical medicine that would remove that pain. Also, at the time when my home country was at war, I witnessed other people being shot and injured. I was constantly hoping I could do something to help. But now the challenges may become harder. Now instead of working just to help my family, another big rock has been put on my shoulders – covering college costs. 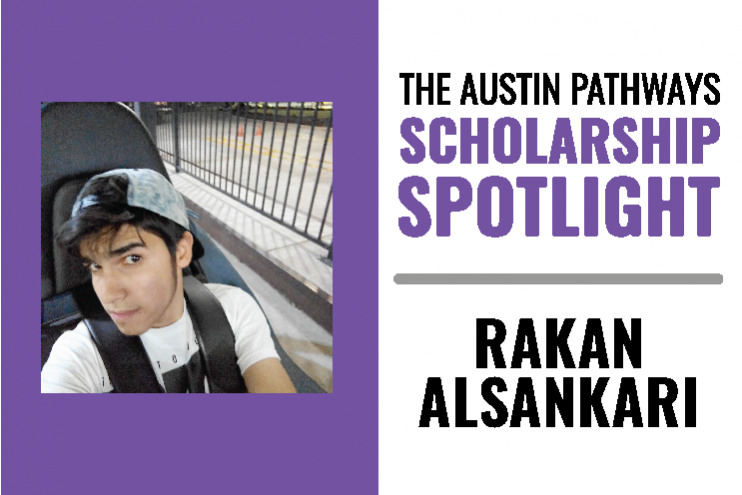 The Austin Pathways HACA Scholarship is one of the tools that will help me overcome this challenge. I am also proud to have been honored with a scholarship from the Texas Chapter of the National Association of Housing and Redevelopment Officials. With the help of these two scholarships, I have full belief in myself that I will achieve my dreams. I applied to several colleges that I would consider to be the best in Texas, and finally settled on Austin Community College. In the fall, I am looking forward to beginning my pre-med journey by taking foundational science classes like biology and anatomy. My short-term goals are to focus on improving my English language proficiency, and doing the best I can to get high grades. My long-term goals are to finish college, go to medical (or dental) school, and to take care of my body by staying in good shape. Thank you for giving me a big push toward a bright future, and for providing a supporting hand that will help bring my dream closer, and has made success easier to achieve.